Don Backy, originally Aldo Caponi, was born in Santa Croce sull’Arno in the province of Pisa. In September 1995 he wrote “La storia di Frankie Ballan”, a song that tours the music scene and was heard by Adriano Celentano. He jointed the Clan and recorded successes such as: “Fuggiasco” (1962), “L'ombra nel sole” (1962), “Ho rimasto” (1963), “Cara” (1964), “Voglio dormire” (1965), “L'amore” (1965), “Serenata” (1966), and “Poesia” (1967). 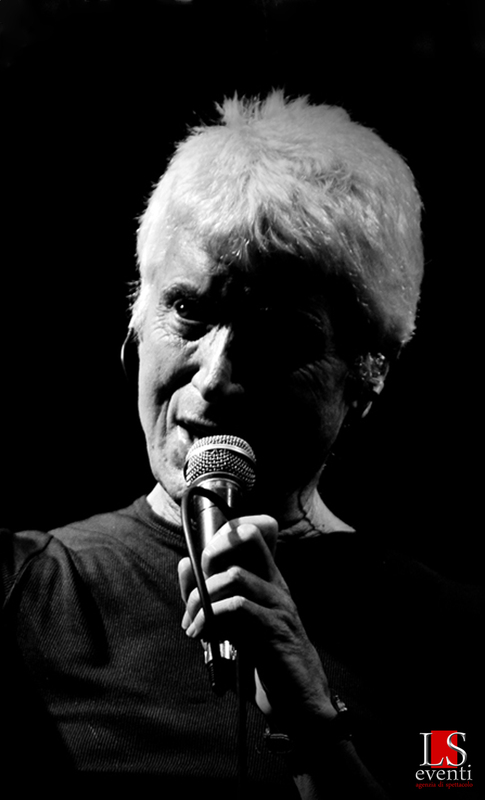 Don Backy participated in the 1967 Sanremo Festival with “L'immensità”, and in 1968 as the songwriter of “Canzone” interpreted by Adriano Celentano and Milva and “Casa bianca” sung by Ornella Vanoni and Marisa Sannia. In 1968, he founded his label “Amico” used to record successes of the Festival. In the meantime, he had luck as an actor in Gianni Puccini’s “I Sette Fratelli Cervi” (1967), and then plays a part in Carlo Lizzani’s “Banditi a Milano” (1968), works in Gigi Polidoro’s “Satyricon” (1968) and in Carlo Lazzini’s “Barbagia” (1969). His two albums, “Rock & Roll” (1988) and “Finalmente” (1990) made him regain his original role as inspired songwriter. In 2010, he recorded his CD “Il mestiere delle canzoni” that with the intense, funny and brilliant songs shows the absolute versatility of a unique author.